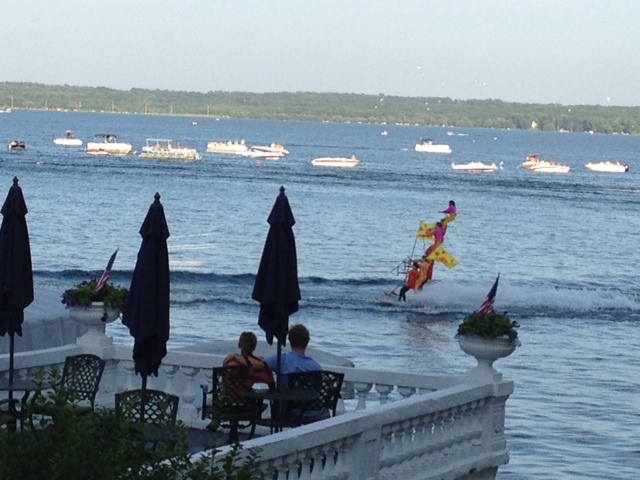 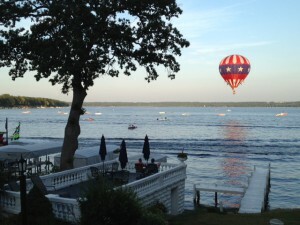 Wisconsin has seen record heat this summer, but what better way to cool off than to sit on the boathouse deck at the Angel Inn and take in the annual Water Ski show! 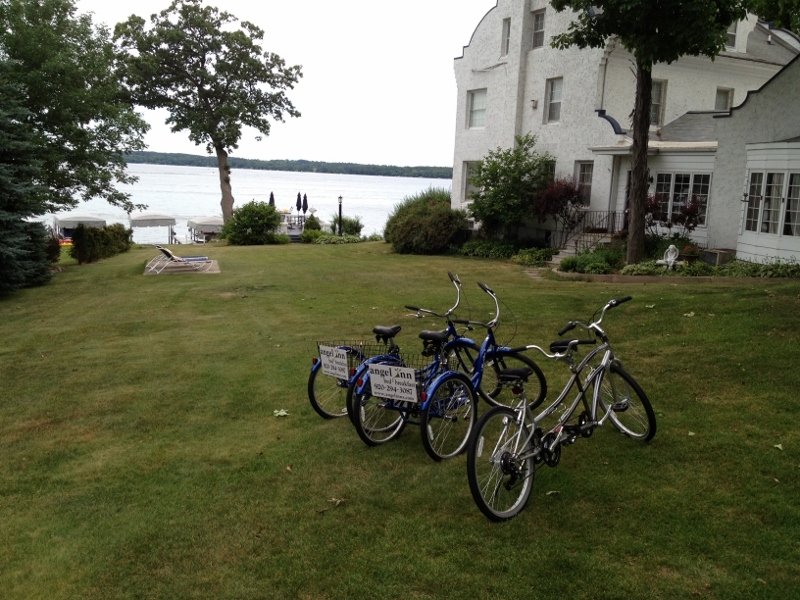 A few of our guests were doing just that earlier this evening. 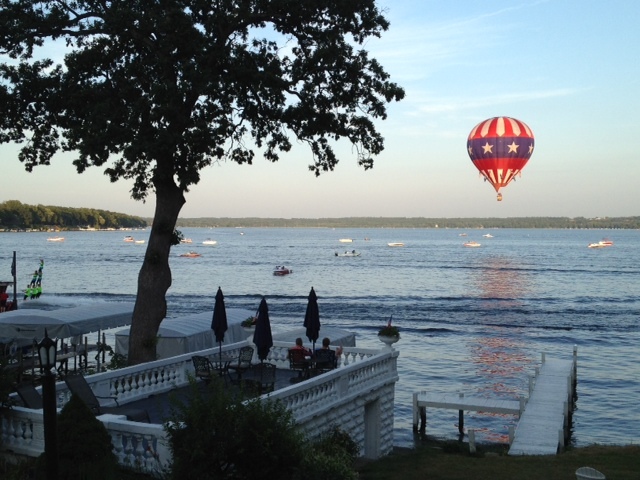 A hot Air Balloon even decided to join in the fun!